Our Guatemala Editor-at-Large interviews Zee Edgell about history and politics seeping into her fiction and Belize as a character. Zelma Edgell is Belize’s most celebrated writer. Zee, as she’s better known, has also worked as a teacher and journalist. Zee’s first novel, Beka Lamb deals with the relationship between Beka, her best friend Toycie and their conservative community. Published in 1982, Beka Lamb has since become a classic of Belizean literature. Three novels later, Zee continues her exploration and analysis of Belize’s history, political turbulence, and racial structure. In her second book, In Times Like These (1991), we’re thrown right in the middle of Belize’s independence. In 1997 Zee published The Festival of San Joaquin in which we get a glimpse of the way religion has shaped the country’s traditions and inhabitants. With Time and the River Zee presented yet another facet of Belizean history: slavery. Zee regards Belize as one of her characters. Belize affects her as a writer and becomes the environmental engine of her protagonists. Belize shapes the community that psychologically cornered Toycie in Beka Lamb; it affects Pavana’s motivations in In Times Like These. Belize is often not only a compassionate and beautiful landscape but also the driving force of the elements that pull at and constrict Zee’s characters. Formerly known as the British Honduras, Belize is sandwiched between Mexico, Guatemala, and the Caribbean Sea, and is the only country in the isthmus with English as the official language. Zee attributes Belize’s disconnection to Central America’s literary scene to this idiomatic difference. 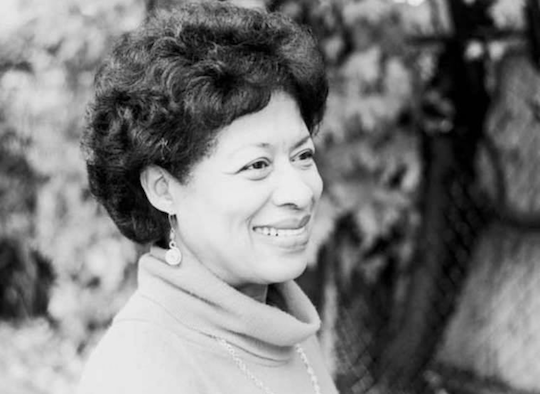 However, her work—and that of her peers—is historically and creatively crucial to the region, defining Latin America’s literary contemporaneity. Zelma Edgell (ZE): In primary school, I participated in yearly school entertainments. We sang Belizean patriotic songs and listened to marching bands and marimba. During the Christmas and New Year holidays, we listened to Garifuna drummers and watched their dances. We also acted out scenes from plays. Also, during the school year, we regularly attended masses at the cathedral. In that sense, yes, I was close to creative activities. JGE: What were some of the early authors that shaped your reading and writing habits? ZE: Some of the authors that I read in high school were William Shakespeare and Charles Dickens. Outside of school, I read a large a variety of writers, including books by Mark Twain. JGE: Any Belizean or Caribbean writers?